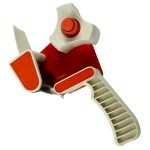 Heavy duty Premium quality hand held pistol grip dispenser for use with 50mm wide and up to 132mtr length tapes. 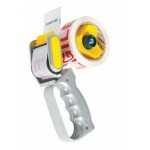 With durable metal construction and one-piece solid steel frames, these heavy-duty Hand Carton Sealers are built to last. Natural rubber rollers provide a smooth and constant taping experience. 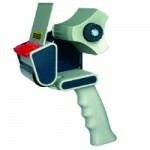 The PACPLUS Heavy Duty Hand Carton Sealers incorporate unique retractable blade covers which allow for the blades to be safely tucked away to reduce risks of injury. PACPLUS innovative adjustable brake feature is ideal to control tension and ensure a tight seal.